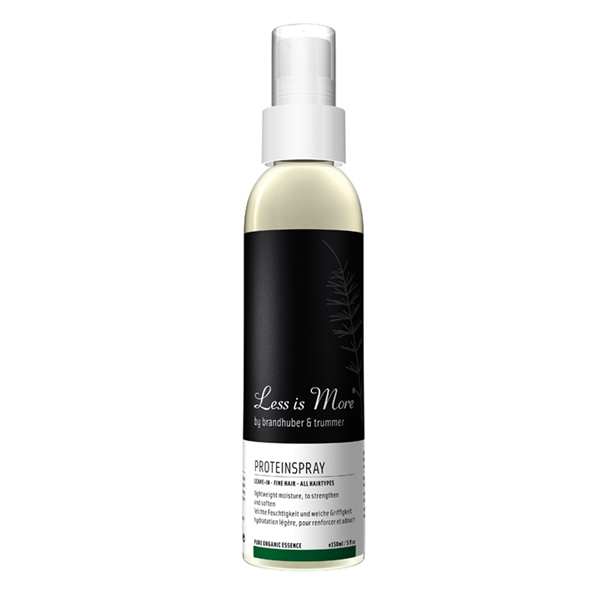 Prep your hair before blow-drying with this lightweight, moisturising spray. Great for fine hair, or any other hair type giving haid a soft texture and taming fly aways. Scented with 100% organic rose geranium, ylang ylang and orange for uplifting aroma therapy, soothing and rebalancing of the scalp. Austria Bio Garantie certified organic. "Protein feed for brittle, damaged or dry hair, that is powerful yet undetectable. Leaves your hair feeling fresh and natural."